Editor's Note: The multiyear centenary of World War I has generated a huge and still growing number of books, looking at the subject from a dizzying variety of perspectives. This is the third in a series of essay-reviews in which Don Yerxa examines some of the salient themes in this scholarship. The first installment, on the war of attrition on the Western Front, appeared in the March/April 2016 issue of Books & Culture. The second piece in the series, looking at the Eastern Front, appeared in the November/December 2016 issue. As I maintained in the first two installments of this series, the Western Front has overshadowed all other theaters of World War I. That is especially the case for the Great War in the Middle East. Comparatively speaking, very few volumes have dealt comprehensively with the Middle East. In these centennial years, however, there has been a welcome corrective. 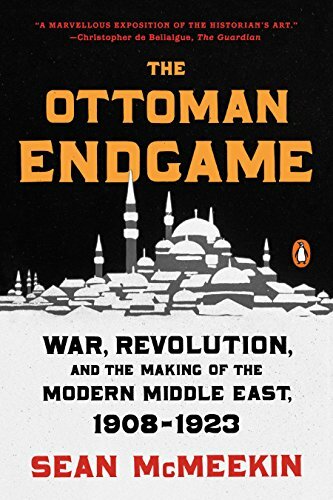 Our understanding of the Great War in the Middle East has been significantly enhanced by the near simultaneous publication of two magisterial narratives: Eugene Rogan's The Fall of the Ottomans and Sean McMeekin's The Ottoman Endgame. Both books seek to better integrate the Ottoman fronts into the overall history of World War I. It was a vast military canvas that included major campaigns in the Caucasus, the Dardanelles, Mesopotamia, and Palestine. 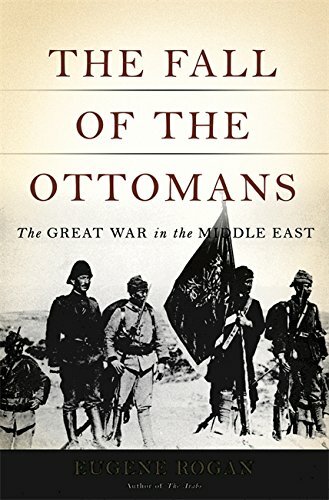 Rogan, a fellow at Oxford University's St. Antony's College, contends that the Ottoman entry into the war, more than any other development, transformed a European conflict into a world war. But the war in turn transformed the modern Middle East. 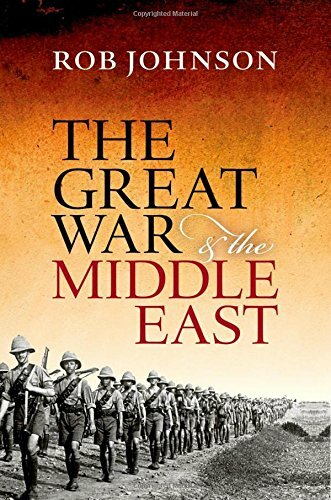 McMeekin, who has taught at two universities in Turkey and has written a number of important books dealing with the origins of World War I, challenges the notion that the Middle East was a sideshow of the war. The conflict in the Ottoman theaters, McMeekin contends, might well be called the "War of Ottoman Succession," spanning twelve years from 1911 to 1923—an epic struggle out of which the modern Middle East was forged. 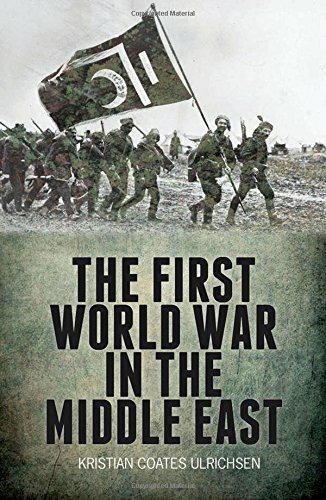 We also have Kristian Coates Ulrichsen's The First World War in the Middle East and Rob Johnson's The Great War and the Middle East, two monographs that focus on military and strategic matters. Like McMeekin, Ulrichsen, a research fellow at Rice University, is especially keen to combat the dismissive view that the Middle Eastern theaters of war were distractions that drained troops and resources from the all-important Western Front. While Ulrichsen and McMeekin make a good case for the importance of the Ottoman theaters, they don't undermine the primacy of the Western Front. But they demonstrate how pivotal World War I was to the creation of the modern Middle East. Ulrichsen's main contribution to our understanding is in revealing the especially vicious fighting and demanding conditions in the Middle Eastern theaters. Extended and vulnerable lines of communication created extremely difficult logistical challenges as all sides sought to sustain an industrialized conflict in a largely pre-industrial region. The huge logistical demands had a "devastating impact on non-combatants already living close to or under the margins of subsistence." Even more traumatic were the hardships created by forced displacements. This reached appalling dimensions with the genocide of 1915, in which approximately a million Armenians were killed. Johnson, who serves as director of Oxford University's Changing Character of War Program, wants to recover the strategic dimensions of the Great War in the Middle East. Consequently, he focuses less on tactics and operations than on the strategic calculations of decision-makers struggling to secure their respective empires. He accomplishes his goal admirably. At the same time, however, he cautions us to avoid the temptation to view the conflict in the Middle East as purely a Western imperial affair. Local actors played significant roles. This is an important point, one that is especially pertinent in the face of the often-heard refrain that Westerners are the primary cause for the Middle East's troubles down to the present. Throughout the nineteenth century Ottoman power was in decline, so much so that the Ottoman Empire was commonly referred to as the "Sick Man of Europe"—a theme one of our authors employs effectively. The process continued in the first decades of the twentieth century, with the loss of the empire's Libyan territories in 1911 and their European provinces in Greece, Macedonia, most of Thrace, Albania, Serbia, Montenegro, Bulgaria, and Romania during the two Balkan Wars of 1912 and 1913. Indeed, the Ottoman Empire lost almost 40 percent of its territory in the years between 1908 and 1912 contributing to what McMeekin calls a "sense of imperial doom in Asiatic Turkey." Ulrichsen reminds us, however, that despite these losses the Ottomans still "held sway" throughout much of the Middle East in 1914.